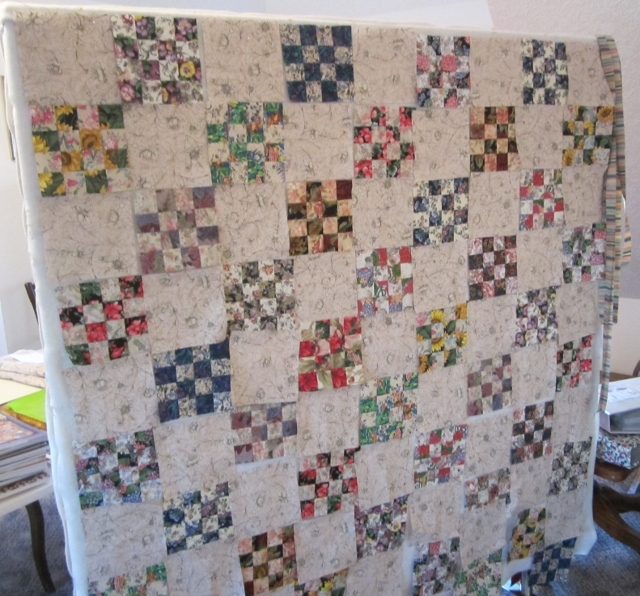 I thought today I would show you two quilts my Mom, Betty and I are doing together. 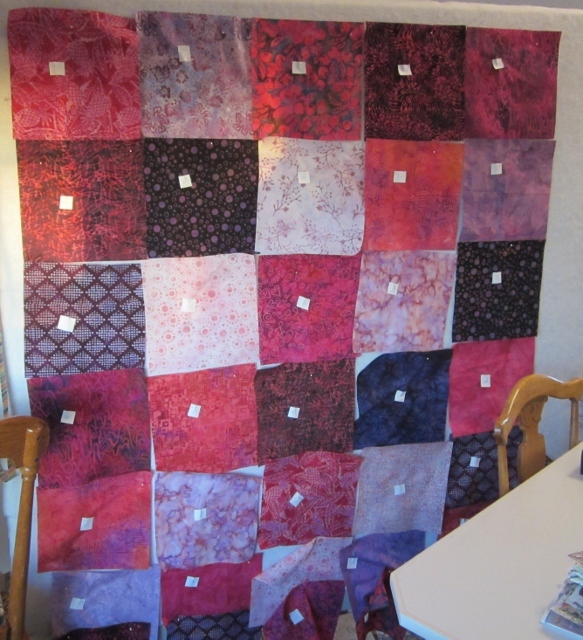 She will do most of the piecing on these quilts but I am contributing some fabric and some design ideas. Then I will do the machine quilting. The top one is going to be a twist quilt in pink and purples for a special little girl. The bottom quilt is part of my Ugliest Quilt (s). This is quilt number 2. I have enough blocks to make at least 3 quilts. I am planning to take the third one with me to retreat later this month. Both of these quilts are hanging on mom's design wall and the light is a little off. Her wall is an office wall on wheels so she can push it out of the way. Today's post is part of Blogtoberfest happening all month. Go and see how much is going on. 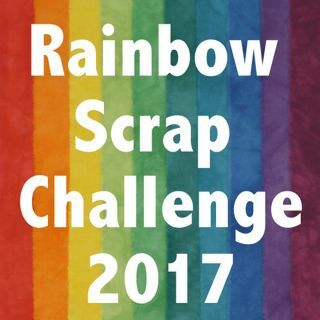 I am planning a give a way later this month. I just need to pick out the fabric. Stay tuned. OOh. I love the 16 patches. looking forward to seeing that twist quilt come together. Happy looking 16 patches. That twist quilt will be beautiful and your ugly quilt is not ugly. I love the way you saved those blocks. love the pink quilt! Great job to you & your mum! I love pink and purple! What's a 'twist quilt'? I bet that little gal will love hers!